We shot your session, now how do you decide what to print? Where AND how to hang it?!? Through a lot of trial and error over the years, I have learned a few things about creating a wall display that looks and feels like you hired a museum curator to design and hang it for you. 1. Follow the 2/3 rule for filling the space. Have you ever hung a picture and realized it was too big or too small for the space? I have. More times than I would like to admit. Being a visual person means, I need to see it up there first. However, my husband isn’t too fond of all the nail holes I put in our walls. 😉 While I do have an app that allows me to digitally create a wall display before hanging, I realize not everyone has an application to do this. Plus, even with the app, I have made mistakes. I decided to look to the professionals, museum curators, to see how they go about deciding how to fill the space. From my research, I came across the 2/3 rule. 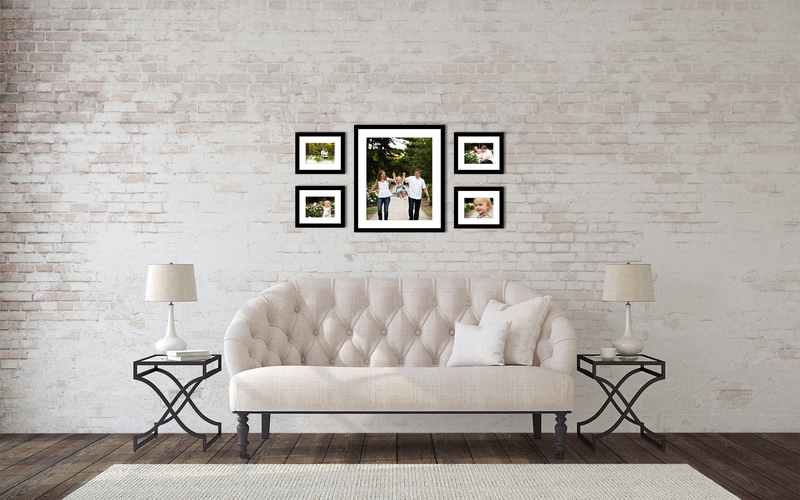 Fill 2/3 of your wall with the frame & print while leaving 1/3 space open. To do this, I measure from one end of the wall to the other. Let’s say I get 90 inches. That means, I can fill 60 inches with my images. If I have 11×14 inch frames with 8×10 inch prints, I can hang 4 of them horizontally for a total of 56 inches. Which brings me to my next rule of thumb. 2. Hang your frames 1-2 inches apart. 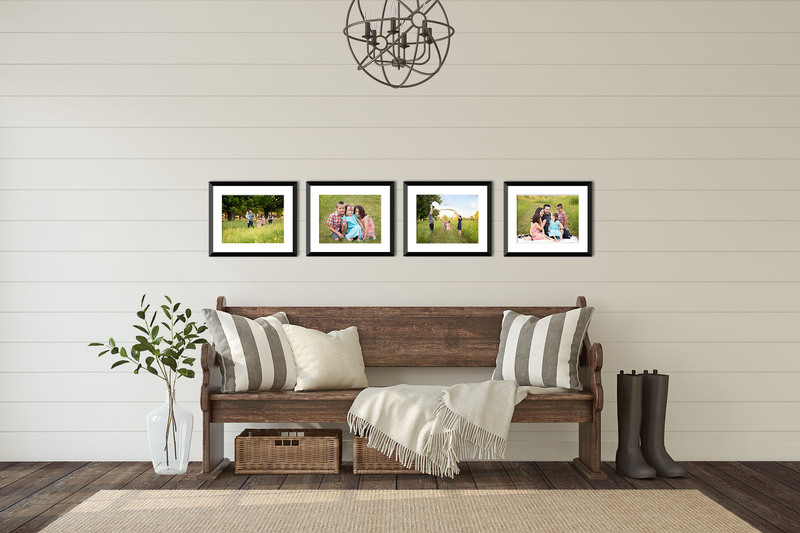 When accounting for the 2/3 of the wall space, don’t forget to factor in 1-2 inches of spacing between frames or canvases. So, with my 4 frames, I am going to go with 1 inch spacing in order to stay within the 2/3 rule. 4. Hang your photos about 57 inches on center. Most people hang their images too high. Have you ever been advised to hang something at “eye level”? Whose eye level? I’m on the short side; my husband is on the tall side. Who wins? Well, museum curators go with the 57 inch rule because that is the average eye level height. Here is how this works with my 4 11×14 frames. I divide the height of my frame in half and get 5 1/2 inches. This is the mid point of my frame. I then match the mid point of the frame to the 57 inches mark on my wall. Simply put, the center of all your images, should be at the 57 inch line. Unless, of course, you are hanging something above a mantle or need to work around other furniture. Stay as close to this height as you can. I hope these tips help you get those images off your hard drive and onto your walls to enjoy & experience everyday.